Stockholm, Sweden. Two words that mean a lot to nature lovers. Stockholm was the first city to receive the award European Green Capital by the EU Commission in 2010. When visiting or living in Stockholm, you easily understand why. Nature is available everywhere in and around Stockholm. Activities related to the outdoors are legion. Here are a couple of tips that will come in handy if you’re planning to visit the capital of Sweden. Stockholm is enjoyable all year round. May and June are the best time to enjoy mild temperatures, low precipitations and beautiful colors in nature. Summer is also a great time to visit Stockholm and Sweden in general. Stockholm is so nice during the warm months that many Stockholmers like to stay in the city during Summer: “night” (if there’s any) life and all water-related activities are a must. Fall is maybe my favorite season here. Albert Camus once wrote Autumn is a second spring when every leaf is a flower; well, it can’t be more true than here. In October all the leafs turn red and the light becomes really special. Winter, which lasts about six months is great in many aspects. In the recent years, Stockholm didn’t get a lot of snow and temperatures were mild. But on good years, Winter in Stockholm is absolutely wonderful. Lakes and part of the Baltic see froze, snow and ice provide a wide range of opportunities for adventure seekers. 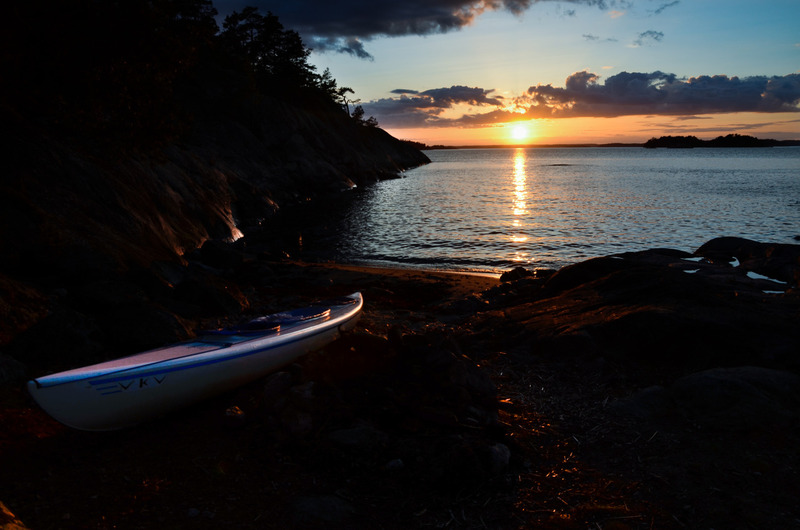 Built on 14 islands, Stockholm is a paradise for sailors and any kind of paddlers. Water is never far and easily accessible either for a swim (yes you can swim even downtown) or other activities like sailing or paddling. It is possible to rent kayaks or a SUP to get an other view of the city. The classic sight-seen tour is to paddle round Kungsholmen (see picture above) but other routes are also possible. If you just want to take a swim on a hot day of summer (expect about 25°C during Summer), head for Tanto in Hornstull, here you’ll find a nice promenade along the water and nice city gardens with typical small wooden houses. Stockholm has an amazing archipelago that counts about 30.000 islands. It is a great playground for sea kayakers easily accessible from the city center: ferries depart from downtown and link the main islands of the archipelago. Two main companies are based right in the center of Stockholm: Waxholmsbolaget and Cinderella. There, you’ll find accommodations and kayak rentals. Visit STF website to book an hostel. You can go on your own journey for weeks in the archipelago, just make sure to check all the regulations. From Stockholm, real, unspoiled nature is also accessible. Lots of nature reserves lie around Stockholm. Tyresta National Park is accessible by public transportation (approx 1 hour by train and bus). This national park is just beautiful and great for day trips as well as overnighters as you can camp at the couple of designated areas in the park. It is also a great place to observe birds among other animals (foxes and moose are common in the park), a great place for trail running and mountain biking. Thru hikers will also be happy with the Sörmland trail (Sörmandsleden) which is more than 1000 kilometers long and offers a good challenge. This trail is divided in about 100 sections and goes through amazing wilderness and is generally accessible by public transportation. 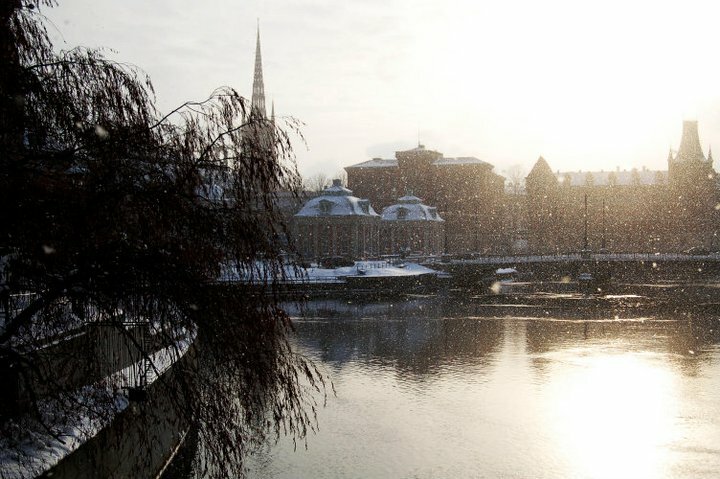 During Winter, water from the lakes turns into ice and snow covers nature and city. It is common to see people skiing in parks, ice skating on lakes and on the sea. Long distance ice skating is big in Sweden and Vikingarännet is a popular annual race that starts in Uppsala and ends in Stockholm. Winter is the perfect time to enjoy a sauna. Sauna is not a real Swedish tradition (yes, it’s a Finnish pride) but is a must during a stay in Winter. The only sauna I can recommend is the one located in Hellasgården, just outside Stockholm (10 minutes by bus from Slussen). Will you dare jumping in the frozen lake after the heat? The place is also a nature area, great for ice skating and cross-country skiing (ski rental is available). Stockholm is a Scandinavian paradise for rock climbers. It doesn’t have any world-class crag, but rock is everywhere. Here you will find some granitic cliffs shaped by thousands of years of glaciation. In general the level of the routes around Stockholm are in the 6th and 7th grades, but it’s possible to find something suitable for everyone. You’ll find some bolted routes and lots of trad climbing. Basically, you can climb everywhere: there are a couple of crags downtown (Münchenbryggeriet and Kanal Klippan) but the most interresting crags are around the city and easily accessible by public transportation. Häggsta is historically the first place people climbed in the area and is still a very nice place for trad climbing, and Örnberget is an amazing sport crag with difficult routes while Ekoberget has more moderate bolted routes and is right by the sea. Stockholmsföraren, a topo guide book is also available. 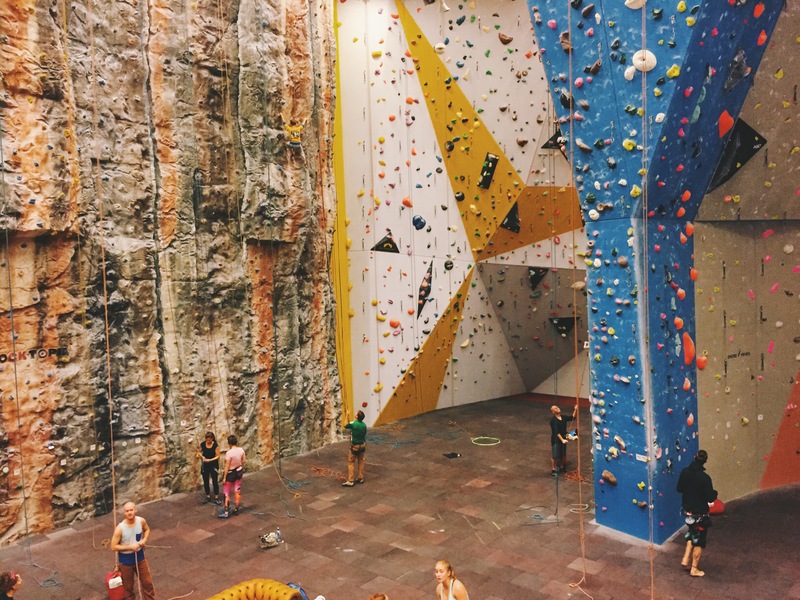 If weather is too bad for outdoor climbing, just head to one of the gyms. Klättercentret in Telefonplan is the main gym around and offers some really good route settings with a steady turnover. If you take a stroll downtown, I’m pretty sure you will come across one of the dozens stores from Naturkompaniet. I think it must be the most popular store in town. Alewalds is another store that sells general equipment for hiking, they have an outlet on Kungsgatan 68. If you are looking for more specialized gear, mainly climbing gear, but also everything related to mountain sports (white water paddling, mountaineering…), then you should go to Addnature. There are two shops in town: one is is Södermalm, the other one in Östermalm. Addnature is basically the only shop to sell climbing gear in Stockholm and also has a nice selection of clothes. It is a shop that is definitely worth a visit. If you need a packraft or an inflatable canoe, then get in touch with Avanza Kayak, there you can also rent packrafts! For bicycles of (almost) every kind, pay a visit to Norvelo, a bike store with a friendly and passionate staff. They will build the right custom bike for you. If you feel like learning something (yeah, it happens! ), then you have several options. The natural history museum (Naturhistoriska Museet) is a great museum with a section dedicated to Swedish fauna. The Museum of Ethnography (Etnografiska Museet) is also an interesting visit. 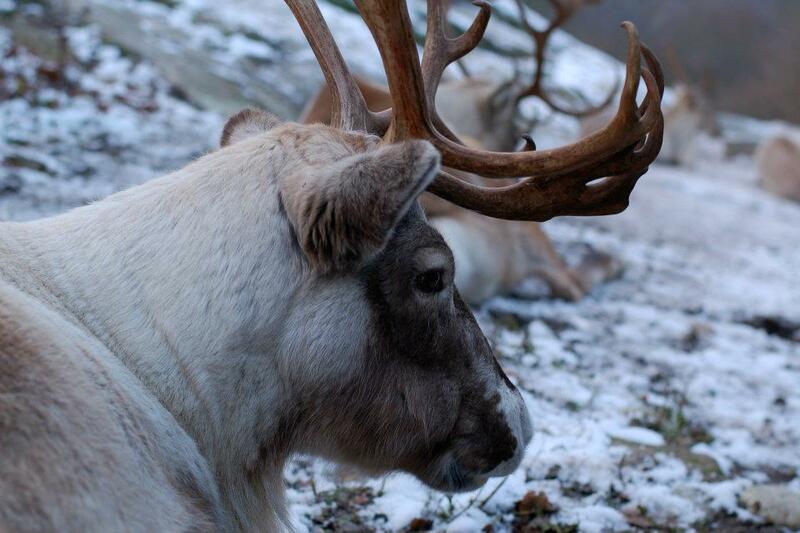 If you like old houses, log cabins and are interested in Scandinavian fauna, then go to Skansen. It is the world’s first open-air museum, founded in 1891. Walking in Skansen is like taking a stroll through history. You feel like walking in a traditional village in different times. The zoo section is interesting if you don’t have time for proper bear watching or moose hunting in Lapland. All the big Scandinavian mammals are to be seen there, pretty spectacular. They say they treat their animals well. Nothing related to the outdoors, but Fotografiska is a major museum in Stockholm. Stockholm hosts quite a lot of events like The Bannf Festival , Reel Rock, the Bicycle tour festival for the screenings, LaSportiva Legends for professional bouldering, the Stockholm marathon and the Viking race for running, and plenty of other events happen all year round. There are too many of them to list them here. 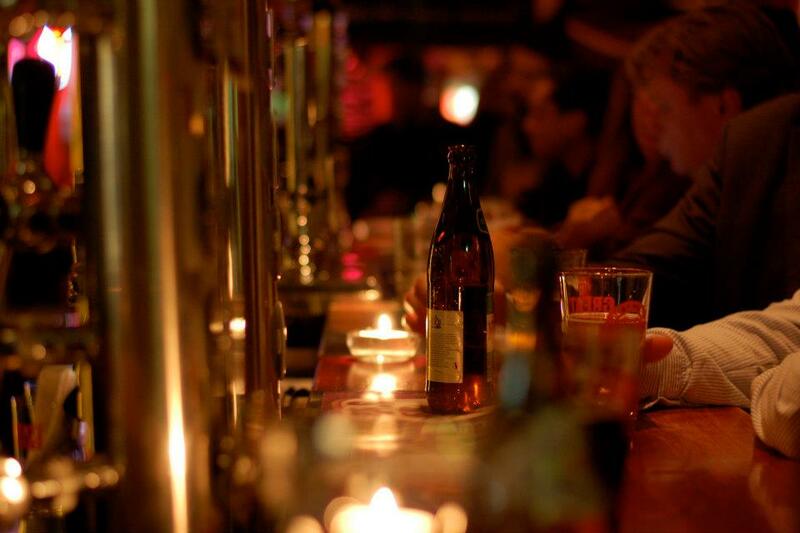 Yes, you can get drunk in Stockholm, but it will cost you quite a few bucks. The main area to go out is probably Södermalm. Gamla Stan, the old town, has a couple of nice pubs with live music like Stampen and Wiströms. Subway works all night on weekends. In terms of food, as a vegetarian, I will highly recommend Hermans, a lovely vegetarian buffé. Everyone loves it, vegetarian or not. Cycling is easy in Stockholm, you can rent city bikes like in every capital in Europe. The cycling network works well. Public transportation (SL) works also very well, it’s not cheap but it’s efficient and usually timetables are accurate. You can buy a card, fill it with credit and then go everywhere around Stockholm. Thanks for reading! I hope you found this guide interesting. Please let me know through the comments section if you thing I should add something to this guide! London, Tokyo, Boulder and onward! Liked this Outdoor Guide to Stockholm, but you’re more likely to visit Berlin, Tokyo and San Francisco next? Well, you’re in luck! Direct your browser to the Outdoor Guide Directory and check out the other Guides from across the globe! Thanks for your feedback, Brian! Excellent suggestion, I’ll make an update soon. In short, I would say that prices in Sweden are comparable to what they are in the US, sometimes maybe slightly more expensive. 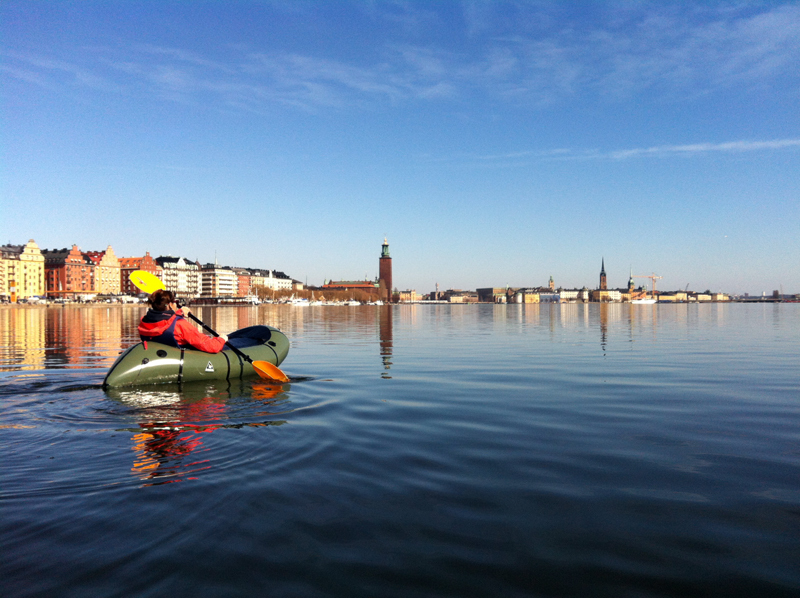 As an example, a kayak rental for a weekend would cost about 120$ and accommodation in an hostel in Stockholm would cost about 70$. Feel free to contact me if you plan to come. cheers!